WordPress.com vs. WordPress.org: Which is right for you? Earlier this year, I moved this site from a self-hosted WordPress.org installation to an account hosted on WordPress.com. Meanwhile, I continue to edit and manage a self-hosted WordPress blog. I’ve been using both versions of WordPress side-by-side for nearly a year, and I’m very happy with both of them. If you’re trying to choose between the two, here’s some guidance. First, a brief explanation of the difference between WordPress.com and WordPress.org. WordPress is an open-source content management system (CMS), which means that it’s not only free to use, but you can also download the source code and change the software if you are so inclined. At WordPress.org, you can download WordPress absolutely free, but you are responsible for installing and hosting it somewhere. 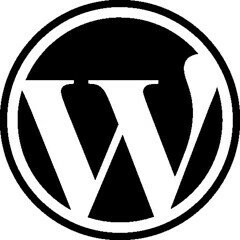 At WordPress.com, you can’t download the software, but you can create a free account and start a WordPress-based blog or website. The experience of writing and updating content is virtually the same as both. Further, even though you can’t install your own plugins on WordPress.com, it offers a large set of built-in features not included in the vanilla WordPress.org download. As a side note, I don’t think there’s much of a difference in cost between the two versions. WordPress.com sites are free to create, but there are various upgrades that you may want to buy, such as custom domains, premium themes, and the ability to create a custom design for your site. WordPress.com offers an upgrade bundle for $99 per year. Meanwhile, for a self-hosted WordPress site, you have to buy your own domain (around $10 annually for most domains) and pay for your own hosting (about $10 per month for typical users), which comes to about $130 per year. You have technical skills, or you’re willing and able to learn them. If you’re already writing your own code or running your own servers, you’ll probably be frustrated with the lack of control offered by WordPress.com. However, you don’t have to be an IT wizard to start a self-hosted WordPress blog. I knew next-to-nothing about coding when I started experimenting with WordPress. I’m not a WordPress genius by any means, but I know enough to customize WordPress for my needs. You want/need a great deal of flexibility. As I said above, WordPress.com offers a large variety of features. Your site, however, might need a plugin not available on WordPress.com, or you might want a level of customization not available on WordPress.com. For example, the other day, I created a Portfolio page for myself. My preference was to create this as a full-width page, without any sidebars or other features. If this were a self-hosted WordPress site, I could have created a full-width page for my Portfolio, but the theme I’m using doesn’t offer that as an option. You want/need total control over your site. This is closely related to the point above. If you want or need to control all of the code and data for your site, whether for personal or legal reasons, you should host your own site. You just want your site to work without bothering with the technical stuff. This is probably the biggest reason to choose WordPress.com. You don’t have to worry about installing your plugins, upgrading the software, or debugging any problems that arise. This is why I chose to move to WordPress.com. Even though I could handle the technical stuff, I didn’t have the time or inclination to handle it at the time I moved. The WordPress.com community appeals to you. Personally, this isn’t something that I make much use of, but there is a huge WordPress.com community that offers a social network. If you already know a bunch of people using WordPress.com, or you like this kind of community, it’s a great choice. You like the free features of WordPress.com (or don’t mind paying for upgrades). As I mentioned above, the cost of a hosted WordPress.com site comes from the upgrades. If you just want to write, post photos, create content, etc., and don’t want a lot of customization, I’d recommend WordPress.com. That’s my advice. Here’s another take on the same question from Tom Ewer at WPMU. Have you used either version of WordPress? Do you have an opinion about which is better for you? This entry was posted in Technology and tagged wordpress, WordPress.com, WordPress.org by mhick255. Bookmark the permalink. Interesting, I don’t know a lot people who went from WordPress.org to WordPress.com. But why not. As you write, you don’t have to care about all the technical stuff.